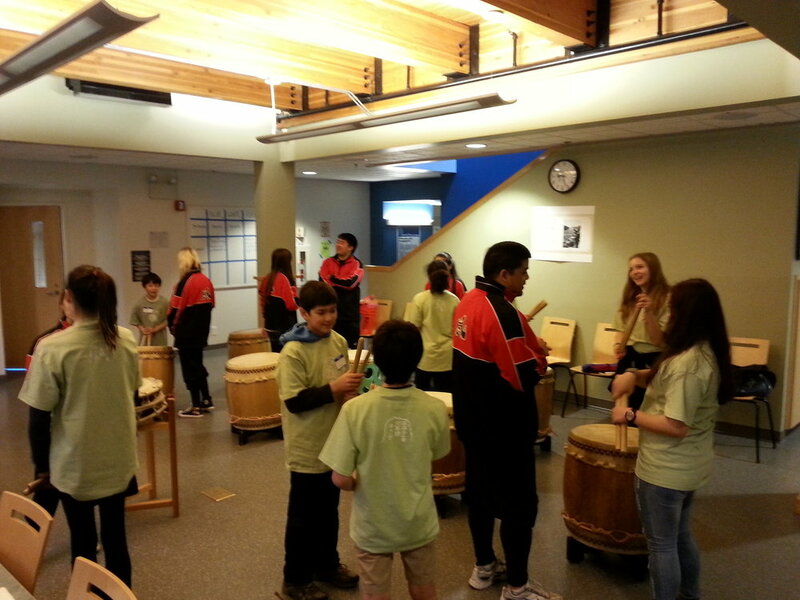 Kaze Daiko has been providing Seattle area youth and their families with unique opportunities in culture, rhythm. movement, friendship, and community involvement since 2000. Performing members and apprentices practice Monday evenings at the Japanese Cultural and Community Center (JCCCW). Youth 7-15 Interested in joining Kaze or attending a workshop drop-in to observe and/or participate in a team practice. Please notify Kaze in advance. Kaze offers ongoing beginners-only workshops on Wednesday evenings. at the Japanese Cultural and Community Center (JCCCW). 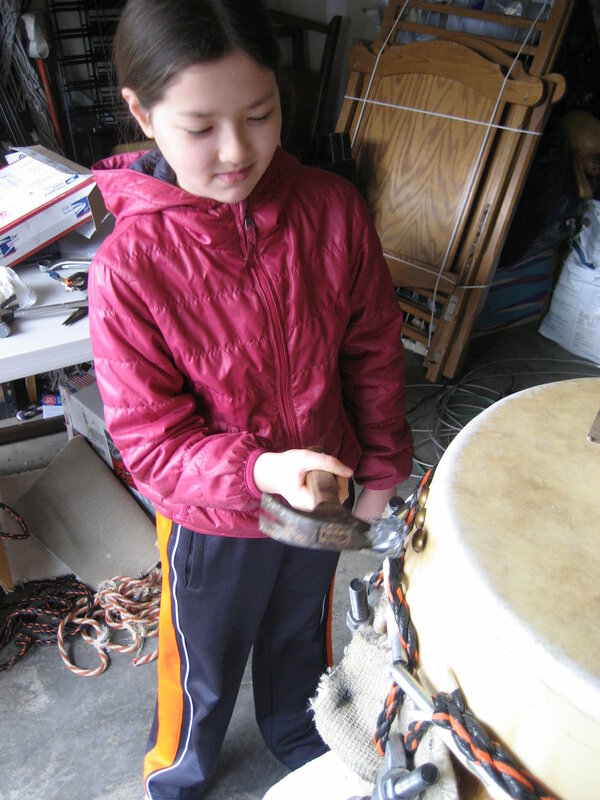 Youth 7-15 Interested learning Taiko or joining Kaze can drop-in to observe and/or participate in a workshop. Please notify Kaze in advance. Would you like a workshop or one-time class for your school or community organization? 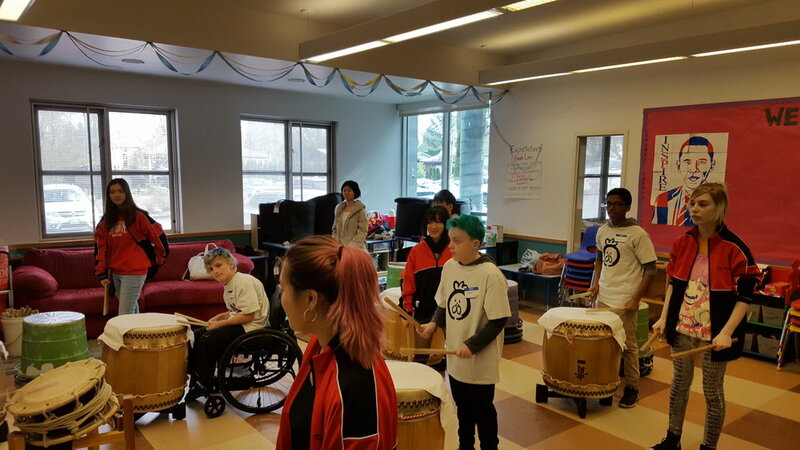 Depending on the availability of our director and Kaze members to assist, Kaze has provided Taiko instruction to a wide variety of schools and organization in the local community. Performers, apprentices, parents, friends, and families help support Kaze Daiko and the regional Taiko community in many ways. Kaze is a member and parent/guardian run organization. Parents commit to support roles including helping each apprentice and performing member build their own drums, stands, and uniforms. Kaze members also support each other and build lasting friendships. Help spread the word about Kaze Daiko's performances, classes and workshops. You can also help in recruiting efforts - do you know youth ages 7-15 who might enjoy learning Taiko? Kaze also welcomes donations for materials for drums, stands and uniformns.